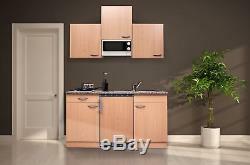 Kitchen Single Mini Kitchen Kitchenette respekta 150 cm Beech Microwave. The description of this item has been automatically translated. 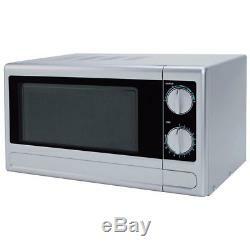 Respekta Single kitchen kitchen kitchen kitchen block 150 cm beech microwave oven. 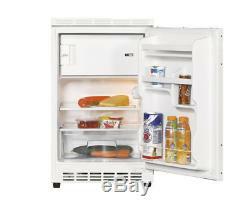 Undercounter refrigerator with decorative frame. 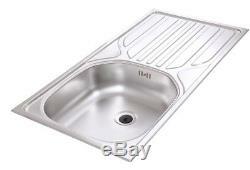 Built-in sink standard 8 x 4 stainless steel with drain and overflow fittings (excluding valve and tap hole). 1 top 150 cm (28 mm) without cut-outs. 1 drawer cabinet with 50 cm. 1 sink base units 50 cm. Front and carcase beech effect. Net cooling capacity: 68 liters. Net Content freezing: 17 liters. Energy efficiency class A +. Energy consumption: 046 kWh / 24 h. Annual energy consumption: 168 kW/h. Automatic defrosting and interior lighting in the refrigerator compartment. 1 plate Ø 145 mm / 1500 W.
1 Ø 180 mm / 1500 W. The kitchen is supplied disassembled and can be set up mutually! Matching to our kitchens, we recommend one of our 50cm Range Hoods, Kitchen Faucets & waste containers. The item "Kitchen Single Mini Kitchen Kitchenette respekta 150 cm Beech Microwave" is in sale since Thursday, November 16, 2017. 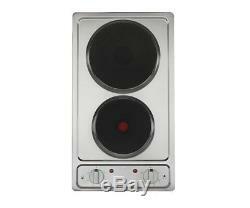 This item is in the category "Home, Furniture & DIY\Kitchen Plumbing & Fittings\Kitchen Units & Sets". 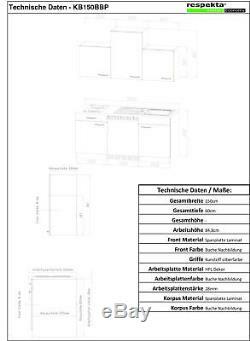 The seller is "kitchcom" and is located in Saarland. This item can be shipped worldwide.